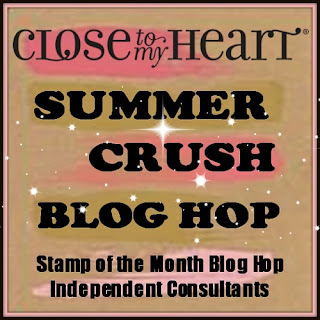 Welcome to the Summer Crush Blog Hop! If you've arrived from Jen Rubio's blog, you're on the right track. If you get lost along the way you can find a complete list of hoppers here. 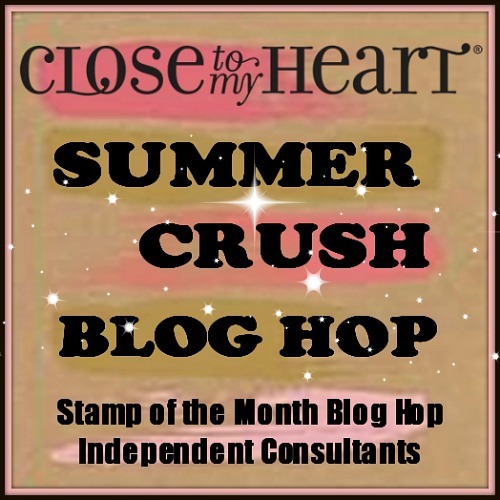 This month, Close to My Heart is featuring their line of My Crush books. 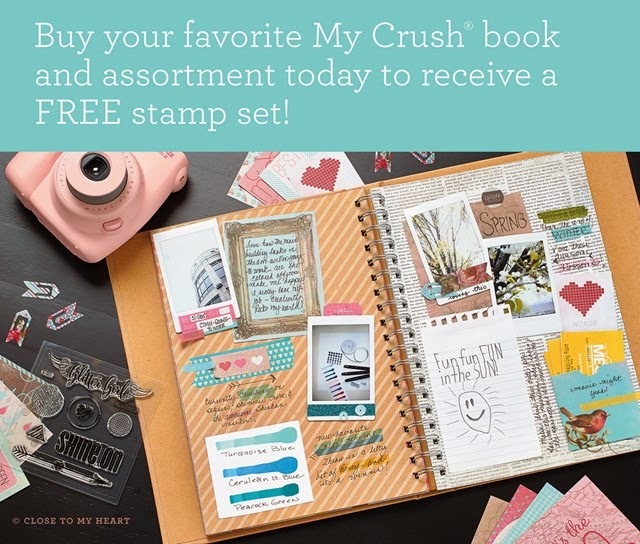 When you buy the book and the corresponding Assortment, you can get the coordinating stamp set for FREE! What can you do with these books? They are great for portable memory keeping, especially for tweens and teens. One of the hottest trends in paper crafting right now is PLANNERS. I'm in the process of converting my book into a planner where I can not only organize my life, but keep my memories in there as I go. I have it with me all the time, so why not just put things in it as I get them? Next up on the hop is Michelle Rowley. Be sure to check out her fabulous creation! Check out the whole line of My Crush products available. 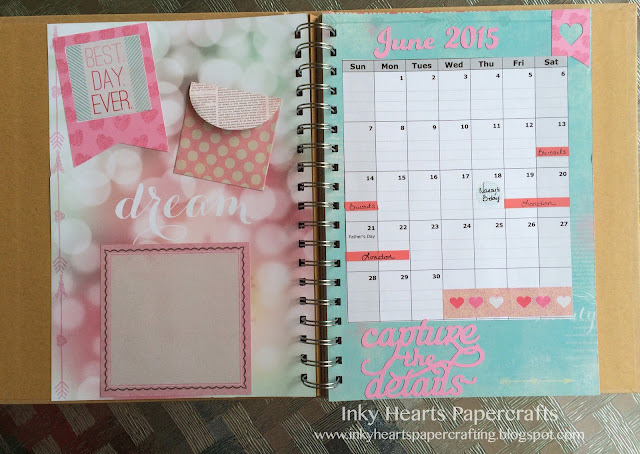 Love your personalized planner, and the card is really cute. Great idea to use this as a planner. This has inspired me to add calendar pages to my garden journal. I LOVE what you did with planner/calendar! Love how you're using your book as a planner! Cute card, too! Fantastic idea!!! I love this project and so much more affordable than the planner options on the market! The planner is beautiful - and much nicer than the one I use from Staples ;-). 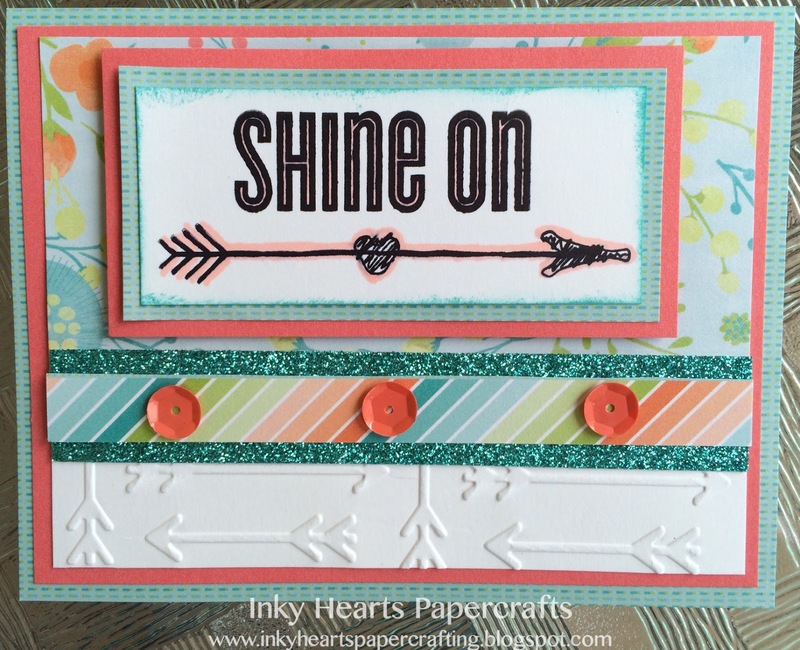 I love how your coordinated the arrow embossing with the stamp on the card too! Gorgeous layout! Love the idea of converting it into a Planner...my wheels are now turning. Great card as well. Love how you added the pop of colour to the arrow. Love your use of the My Crush book as a planner. Love the idea to use it as a planner! Very clever!